I wanted to do a regular series on my blog, something unique that hasn't been done before. I came up with an idea to feature small shops, that are located throughout the country. So, every Friday you can stop by and check out a new shop, and at the same time meet the owner. Today, we will shopping at Tattered Tiques. 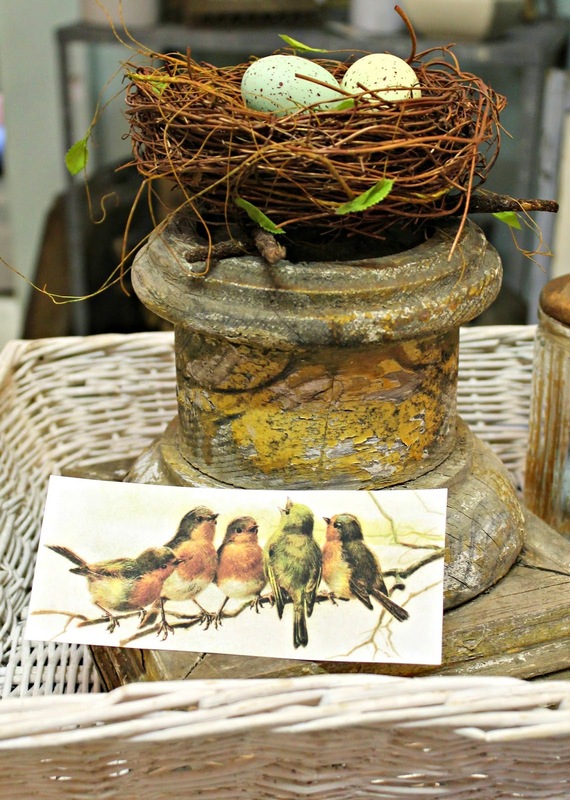 The three owners of this shop really know how to put together one CHARMING SHOP, believe me, you are in for a treat today. 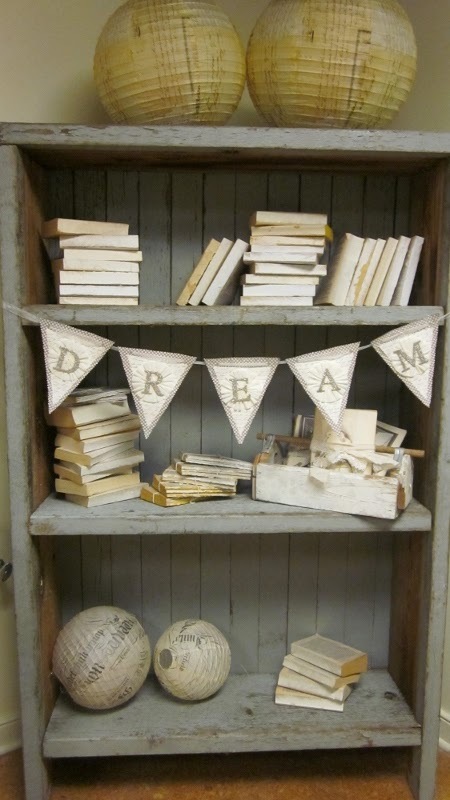 I would title their shop, the perfect VINTAGE STYLE SHOP! I love how they have mixed old and new, and their "Vintage Girl" line is awesome. Don't forget to check out their blog (you can find it here), after you finish shopping. You can follow them at the blog and on facebook. Okay y'all, let's start shopping! Hello to all you "Vintage Girls" out there! We are so excited to be a part of this new series on Coastal Charm. 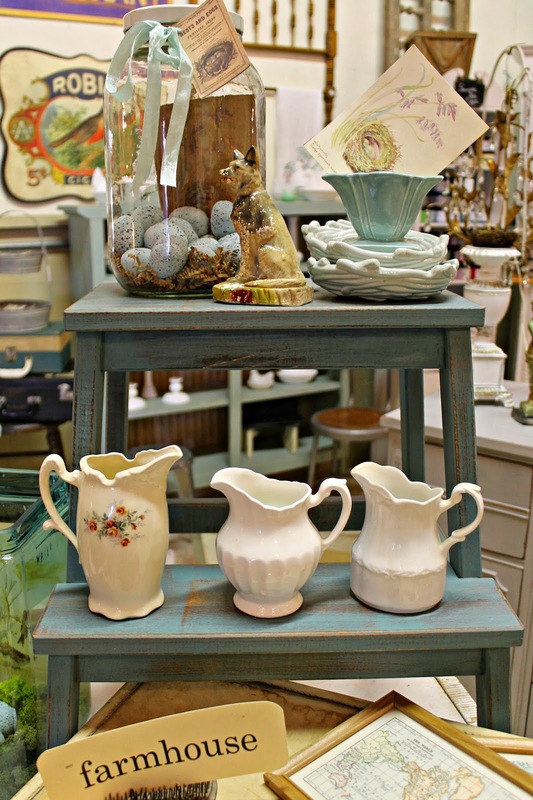 Kudos to Linda for featuring small shops and vintage booths. We all work so hard, and any support we get is greatly appreciated! We were so honored that she picked us to be featured. 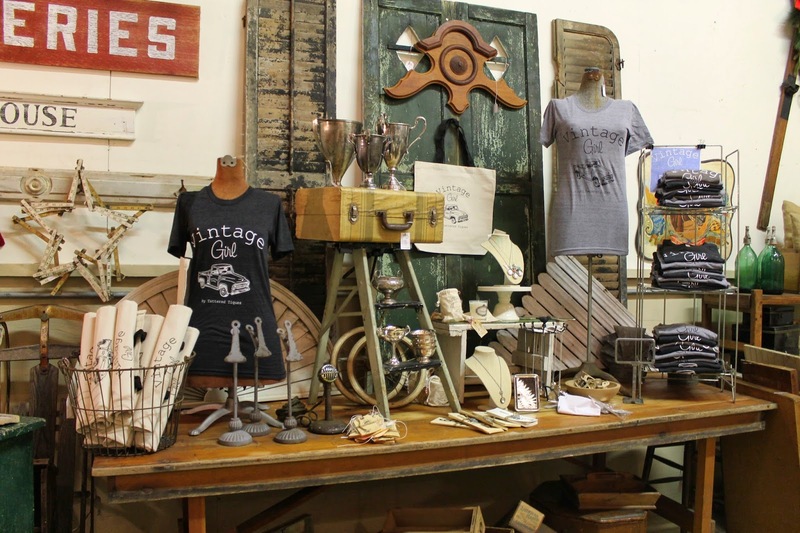 Tattered Tiques is located in Lake Barrington, Illinois. We are a mom and two daughters who love to travel and gather the perfect vintage finds to share with all the other vintage lovers out there. 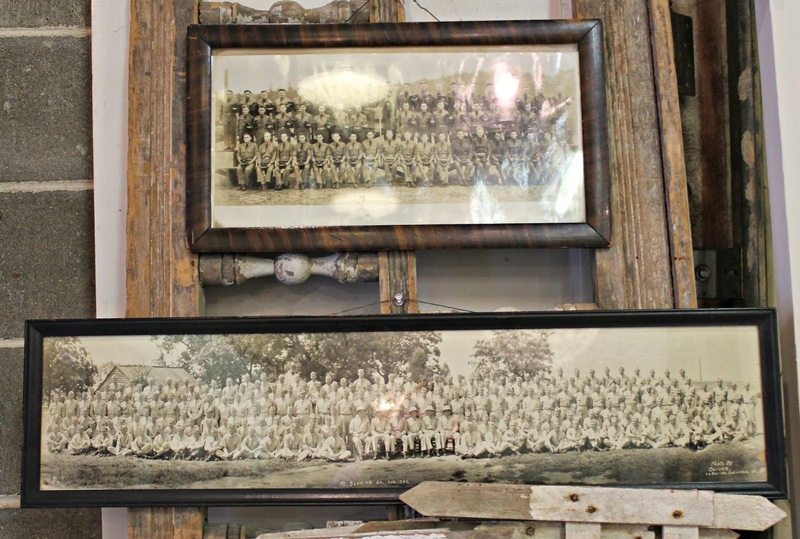 We have been collecting and antiquing together for more than 10 years. 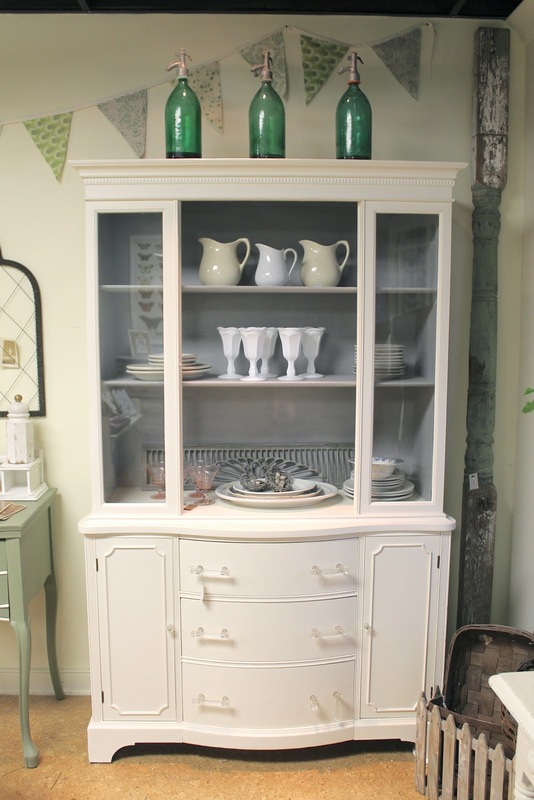 We started our business by doing antique, flea and vintage markets. After a few years, we decided to look for a space to sell our wares out of.....three years later, we are still here. The shop is only open a couple weekends a month, as well as every Tuesday. On off weeks, we travel the Midwest in search of new finds for the shop. Each weekend we are open, we try to have new inventory for our customers. And most antique pieces are one of a kind, or close to it. This antique column base for instance, had 2 others like it by its side. The all flew out the door first thing! 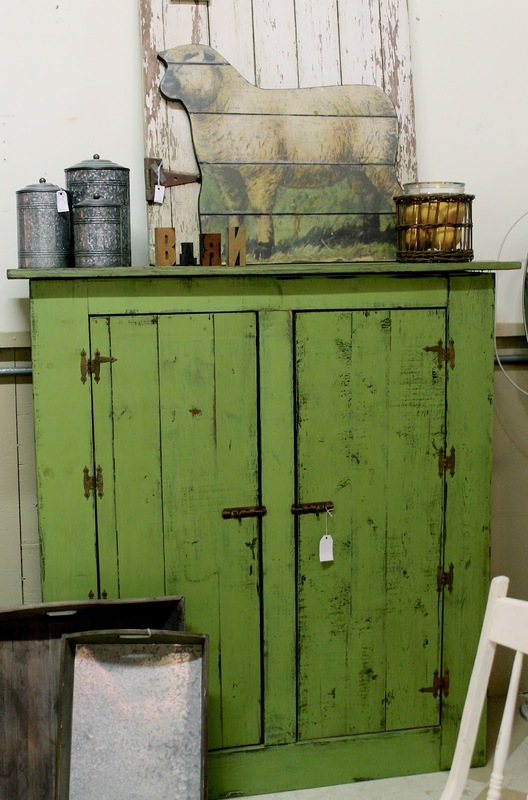 At Tattered Tiques, we have a nice mix of antique, shabby, vintage, farm and industrial, with a little bit of handmade mixed in too. 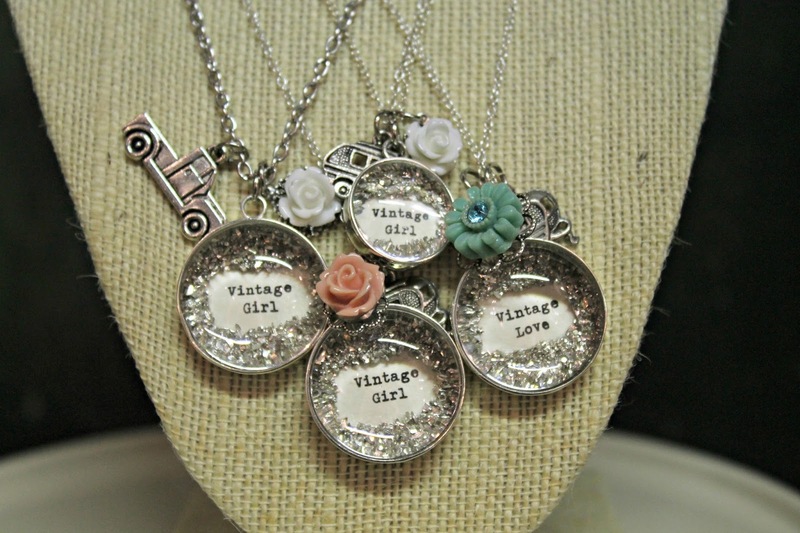 We recently introduced our new "Vintage Girl" line, which we are really excited about. We have super cute and comfy t-shirts and flea market totes. Perfect for a day of junking, picking, or flea marketing! We even have adorable necklaces and candles, which make the perfect gift! We like to change things up for holidays and seasons. 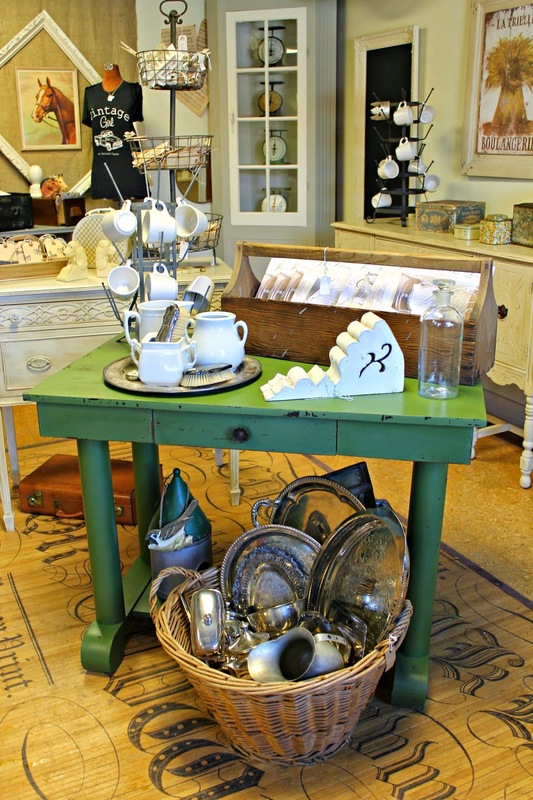 Bringing a mix of antiques, handmade, and even a little bit of retail for the holidays. 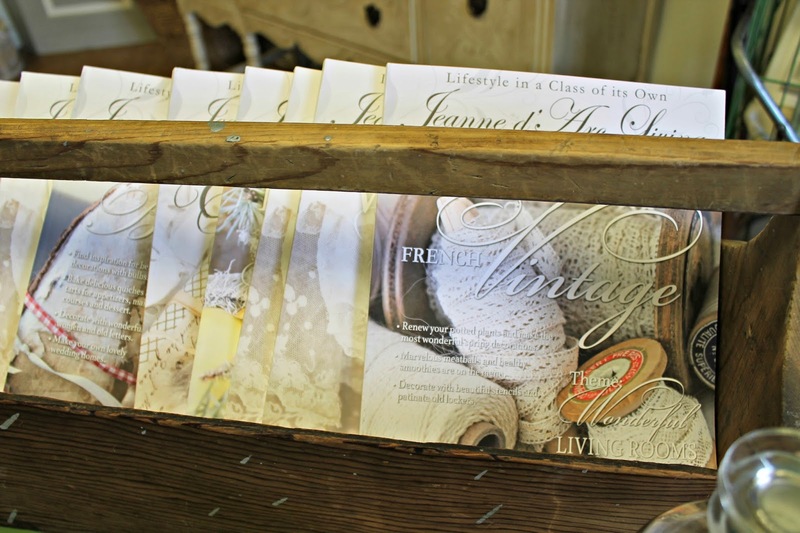 We carry one of the most beautiful and inspiring magazine for antique lovers.....Jeanne d'Arc Living. It is filled with page after page of dreamy photographs. We sell Jeanne d'Arc at the shop, as well as online at our Etsy shop, which often has back issues for sale. When the weather warms up, we love to open the big overhead door. It fills the warehouse with natural light! We keep our customers current on shop openings, current travels, and new finds on our website, TatteredTiques.com, our blog, Tatteredtiques.blogspot.com, and Facebook. One of our main focuses at the shop is the two paint lines we sell. 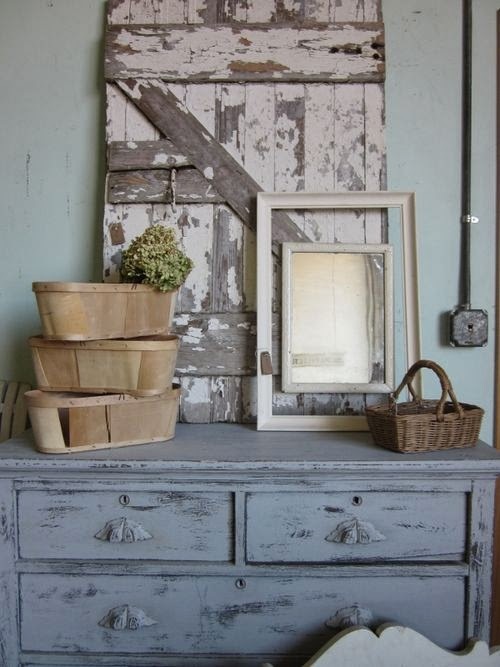 We are proud distributors of Chalk Decorative Paint by Annie Sloan, as well as Miss Mustard Seed's Milk Paint. 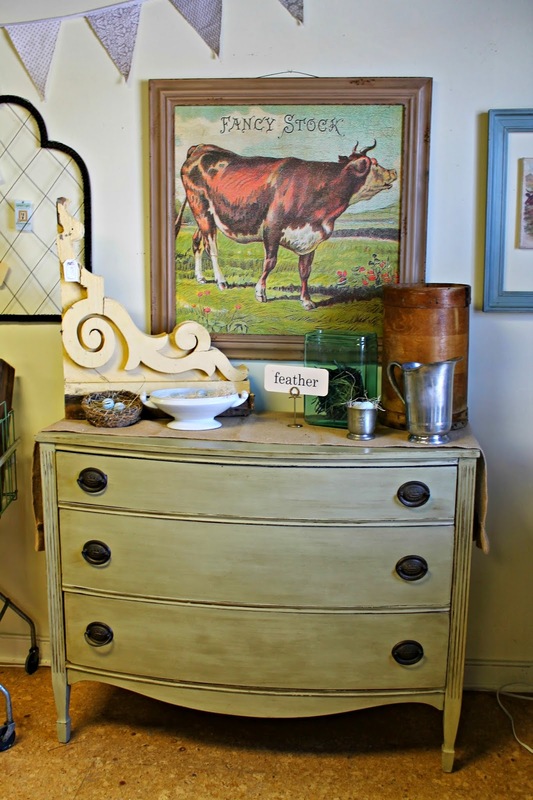 The Chalk Paint® and Milk paint are what we paint all our furniture in. 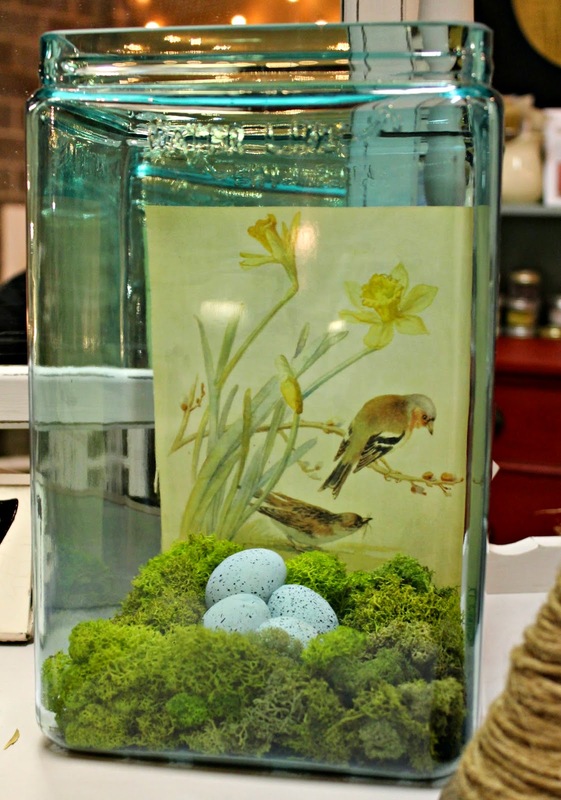 We even offer classes in hopes of getting our customers hooked on these amazing paints! Classes are very informative and are designed to make sure our customers leave feeling confident to tackle their own painting projects. 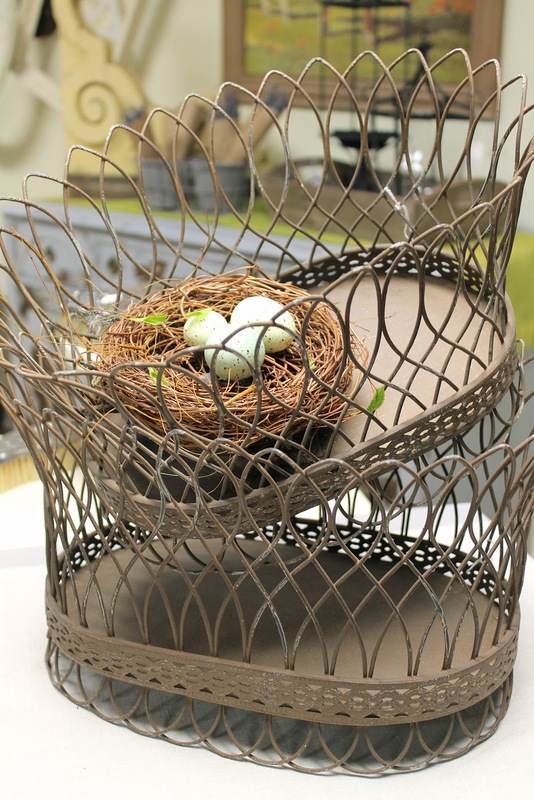 We hope you enjoyed taking a sneek peak inside Tattered Tiques! Hopefully you local gals get a chance to come for a visit and see what we're all about. Or, visit us online! 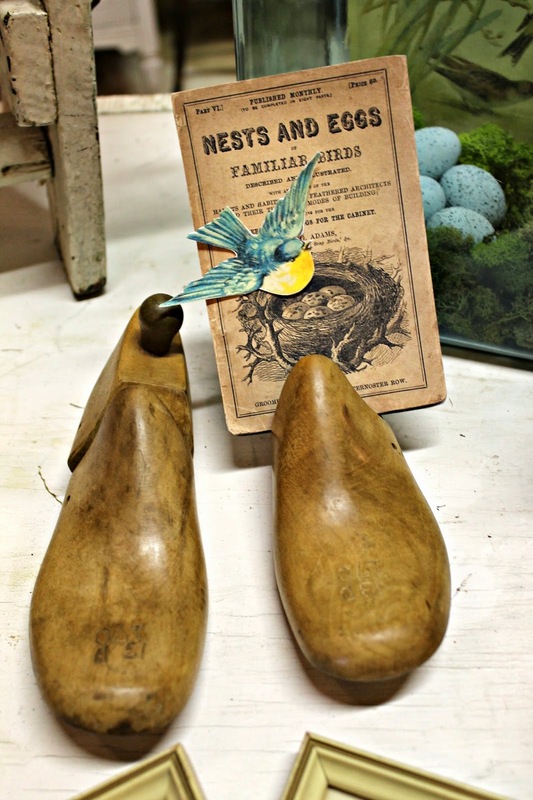 Stop by our blog to see what's new at the shop, or visit us on Facebook to keep current on our weekend travels and new finds. If you love Vintage markets, come see us at the Urban Farmgirl's Main Street Market on May 10th in Rockford Il, or at the City Farmhouse Pop-up Show next October! Thanks again to Linda for including us in such a great venture! Great shop! I want the vintage trophies. Thanks for the tour, Linda. The ladies have wonderful displays and unique items. Thanks for featuring this fun shop Linda! What a great way for a mom and her daughters to spend time together...Now, let me plan a trip to Illinois! Wow, truly a wonderfully curated shop! I'm just one state over in Indiana, so I would love to visit next time I'm in the area!! These girls are my bff's and I adore the shop. I get a lot of my treasures from them. They are the sweetest and find the coolest stuff. Love going in and seeing them and purchasing new treasures from them. They are as sweet as their shop of treasures. Looks like a great shop! I saw lots of things I'd like to have. What a great idea Linda, now we can go shopping all over! 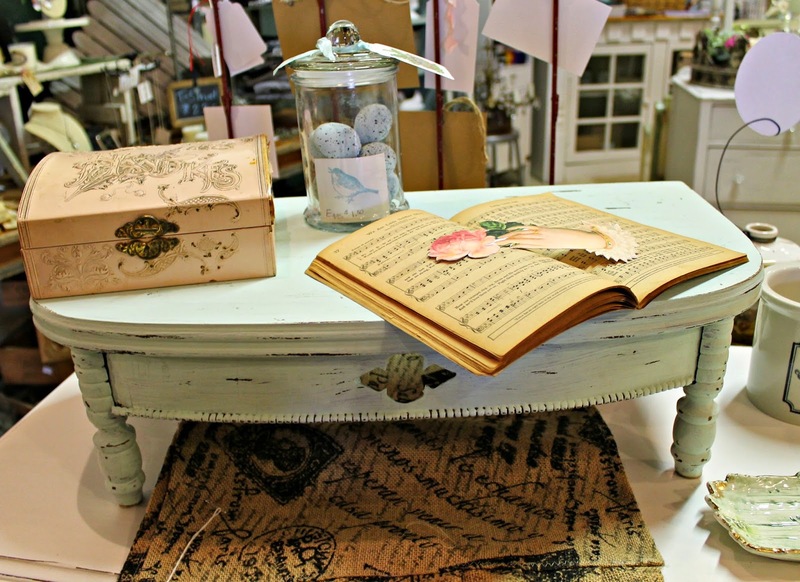 Even if I can't visit these shops in person, I get so much inspiration from the vignettes and the eclectic mix of things~ Tattered Tiques looks like a wonderful place to be! Wow, what a beautiful shop. It's a good thing I don't live closer, I'd be tempted to buy everything here. Yeah! Thanks so very, very much for featuring us! We are so grateful for any help we get! You have such a beautiful, inspiring blog...we are thrilled to be a part of it today. Can't wait to see what other wonderful little shops and booths you feature! And Kris, up above.....loooove her! She's our favorite. Such a sweet lady! Thanks again! Have a wonderful, "Spring" weekend. This shop hits a home run for me! I adore every single thing in it! Thanks for showing us the goodies in other places. I recognized the name of this spot right away, Linda, although Lake Barrington is not at all close to where I live in Chicago. 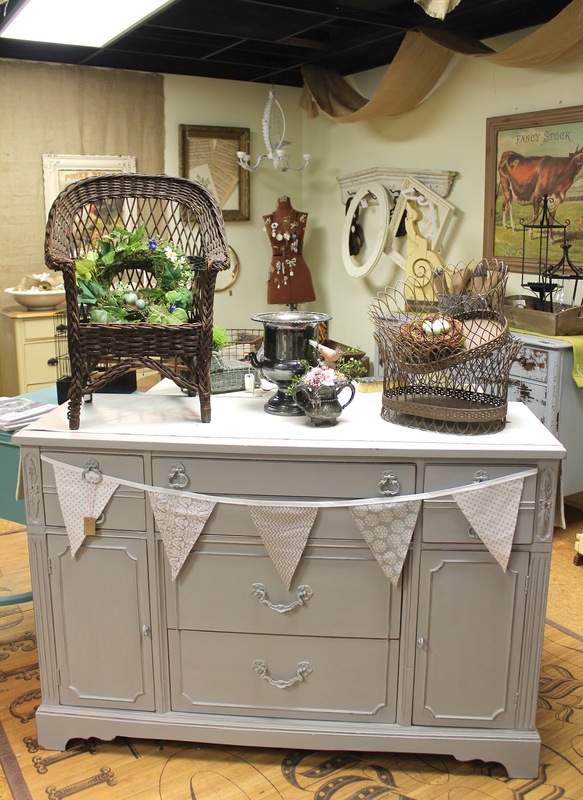 But I met up with Kris from junk Chic Cottage and we went together. What a great place. Everything is displayed so perfectly and there is so much to love, it makes your head spin. Kudos to those girls! Wow, I saw quite a few things I would love to own. I am impressed with their vignettes and large inventory. Linda, I like your new feature. Off to check out their blog. This is one of my favorite shops to visit when I am back home in IL visiting friends and family. You picked the perfect shop to start this series and I look forward to learning about more small shops! Great post! Awesome shop!! I need to take a road trip! This is a great series Linda. Thanks for introducing us to these shops! 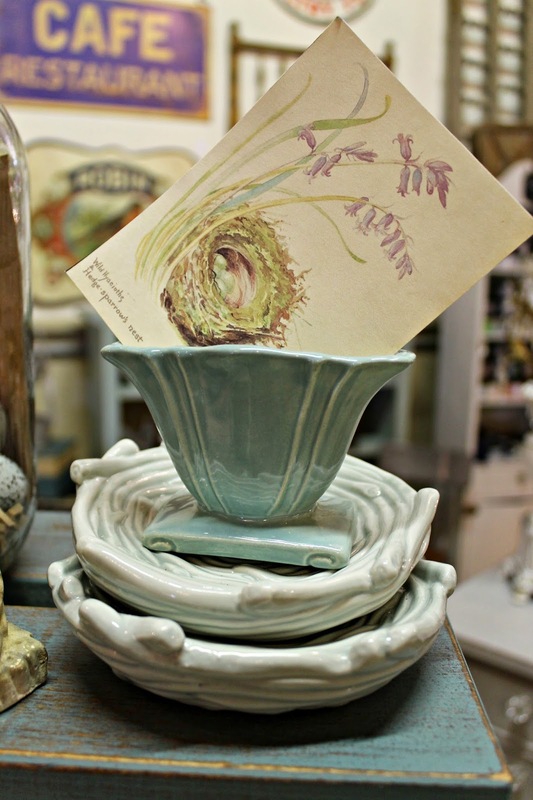 Such a lovely shop...great feature Linda!! This shop looks awesome...makes me want to take a road trip! Thanks for sharing! My kind of store! Very pretty items. Love this shop! 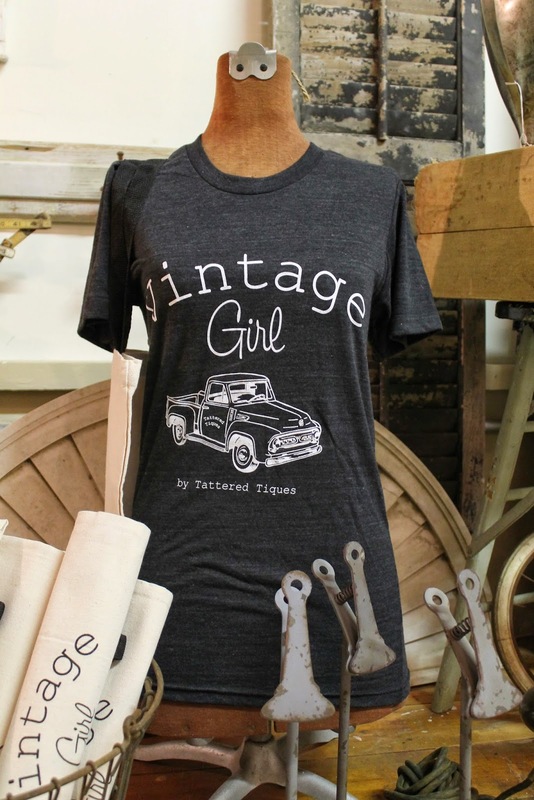 I had to have that Vintage Girl t-shirt so I went to their Etsy shop and ordered...can't wait to get it! 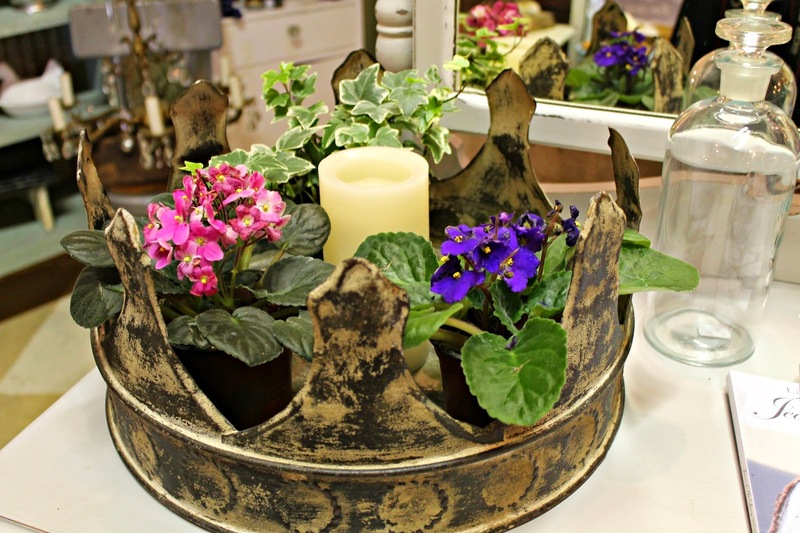 Thanks for featuring this fabulous shop! Love!! Such great displays. Very inspiring.